To mark the 55th anniversary of the U.S. National Forest Products Week, President Barack Obama issued a proclamation praising paper and wood-based products for the value they lend in everyday life. Forest products manufacturers and organizations through the value chain are joining to Celebrate Forest Products (#CelebrateFP). The U.S. forest products industry accounts for approximately 4 percent of the total U.S. manufacturing GDP, employing over 900,000 men and women at a payroll of approximately $50 billion per year. All this, while making the paper and wood products that millions of Americans rely on each day. 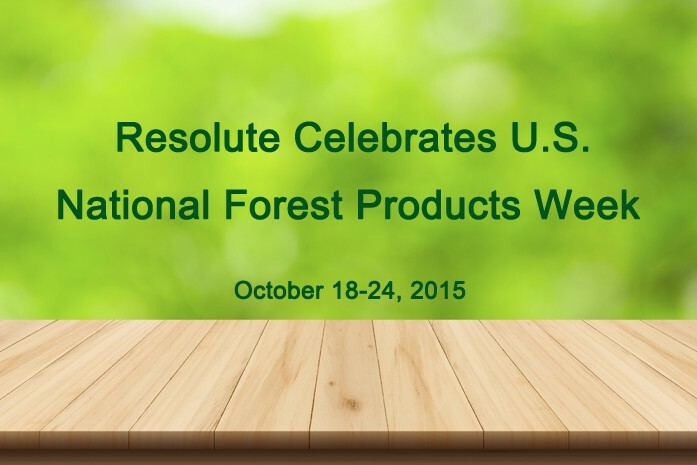 For more information about the industry, its products and National Forest Products Week events, visit afandpa.org/our-products. Follow the discussion on Twitter with #CelebrateFP.